An exhibition highlighting the contribution of Taiwanese immigrants to the United States opened on 19 September in Taipei. An exhibition co-organized by the American Institute in Taiwan (AIT) that highlights contributions made by Taiwanese immigrants to the United States over the years was launched Wednesday in Taipei. The opening of the "Immigrants Building America" exhibit at National Chiang Kai-shek Memorial Hall was the first public event attended by AIT's new director Christopher Marut since he assumed duties last week. In a prepared statement, Marut lauded the important contribution immigrants from Taiwan and China made to the growth of the U.S.
"This exhibit is about those people who came to America, who faced hardships and who contributed to the success of America," Marut said. Running through Oct. 10, the exhibition, which was also organized by the Cabinet-level Overseas Compatriot Affairs Commission, focuses on immigrants from Taiwan and China who have made contributions in various fields, such as aviation, fashion, science, sports and the film industry. People featured in the exhibition include Jeremy Lin, the first American-born NBA player of Taiwanese descent, Ang Lee, an Oscar-winning film director who was born in Pingtung County, and Henry Lee, a world-renowned forensic scientist from Taiwan. The opening ceremony was also attended by Vice President Wu Den-yih, who said Taiwan and the United States share the same core values of freedom, human rights, democracy and the rule of law. Immigrants from Taiwan will continue to make contributions to the United States, Wu said, adding that Americans based in Taiwan will similarly continue to contribute to the development of Taiwan. 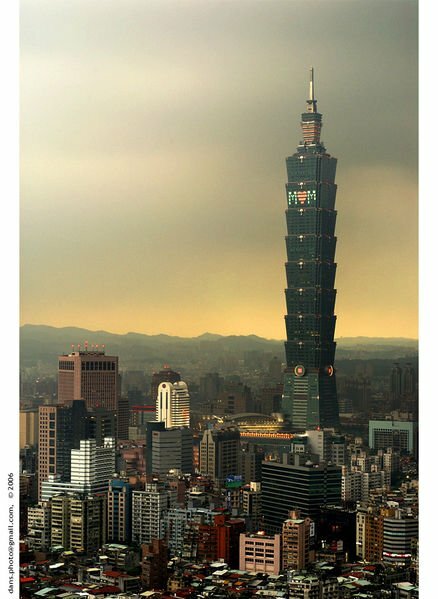 This year's exhibition followed one last year called "American Footsteps in Taiwan," which highlighted the United States' assistance in Taiwan's development over the past decades.